What qualifies as a gadget these days? 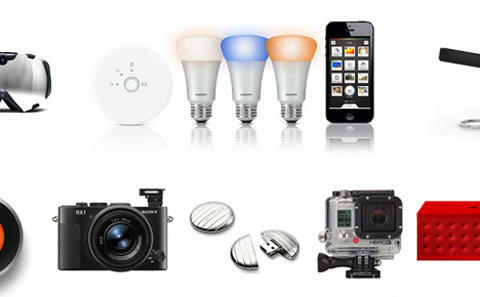 We asked ourselves this question repeatedly while selecting our favorite gadgets of 2012. Used to be, a gadget was something electronic that came from the pages of Skymall or Hammacher-Schlemmer, required like 15 AAA batteries, and served a bizarre function somewhere between novelty and utter uselessness. Like this. Or this. Or this. These gadgets are not like those gadgets. We selected our picks based on the equipment we’ve found useful in our professional and personal lives over the course of the past year. The level of technology incorporated into the item’s function wasn’t our primary consideration when choosing these devices. Instead, we looked at the problem each item purports to solve. If we’d encountered that problem in our everyday lives, and the product actually solved it, it likely made our list. Products that weren’t proprietary had to be cool, sleek, and unobtrusive to make the selection. What do you think of our 2012 gadget roster?